It is cold outside. It is well below zero with winds a blowin’. Wanted something warm and healthy to drink. Been hearing about the health benefits of turmeric. Decided to try Turmeric Tea. I found this recipe along with health benefits of turmeric on Dr. Axe’s website. You can check it out there. Surprising it had a smooth yumminess to it. 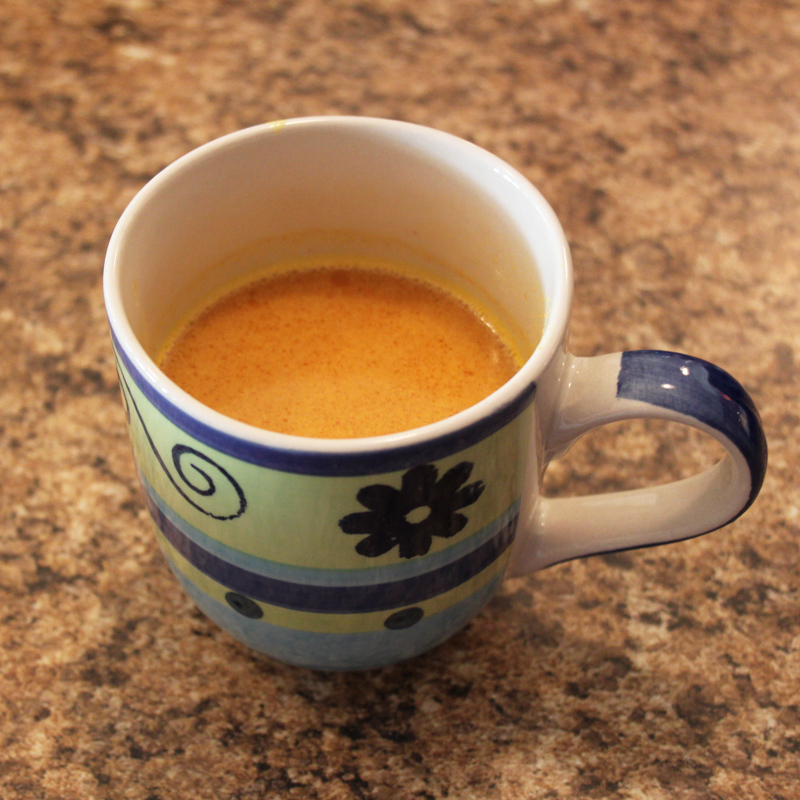 Not many ingredients….coconut milk, water, ghee, honey and turmeric. Since I was the only one drinking, I cut everything in half. If you are looking for something different to drink because it is cold where you are, try it. But one caution….turmeric can and will stain so be careful what it touches. Have you tried any warm drinks lately?